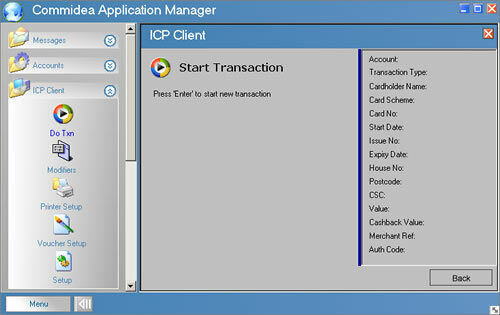 The ICP Client software program allows you to process customer not present (CNP) transactions through a standard PC based windows program. Authorisations for credit and debit card transactions are obtained using a secure 128-bit SSL internet connection and are returned to the PC program in as little as six seconds. You will require a UK Merchant account for Customer Not Present (CNP) transactions with a UK acquiring bank in order to use this solution. Can be installed on as many PCs as you require - e.g. for Call Centre applications.